Students can earn "warm fuzzies" for actions and behvior that is exceptional. Students save "warm fuzzies" and can spend them to recieve special prizes of their choosing. In addition to the individual behavior plan, we have a class behavior plan. As a whole class students can earn smiley faces throughout each school day by working together, following directions, working hard, and all around good behavior. However, they can also earn sad faces for poor choices as a majority. At the end of the day we add up the faces and see which we had more of. 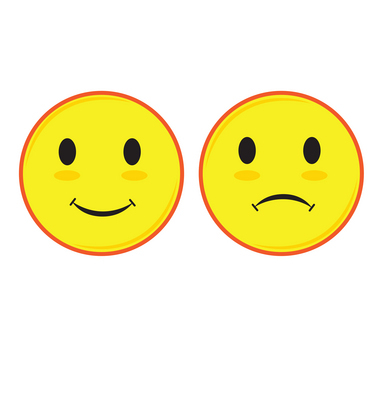 If there is more smiley faces students earn 3 minutes of recess on Friday, sad faces is minus 3 minutes of recess on Friday. Ties are 0 minutes of recess. Therefore, if students win more smiley faces each day of the week they will earn a 15 minute recess on Friday. In addition to the Friday recess our class is working to earn a read-in day. The students need to get 10 weeks with having a win or tie for the smileys all week, no wins for the sad face.